Air doors are becoming trendy in the contemporary world; it has different kinds that give their different effect on an enclosed area. An air door is a device that separates two distinct temperature environments from mixing with each other. Its application can be found in various places such as general store, restaurant doors, aircraft hangers, shipping receiving doors and entrance to processing plants. It is installed to maintain an absolute temperature in the intimate environment, as well make it clean and hygienic. An air door produces a jet of air that flows across a door entrance when it is installed over the door. It blows air of high velocity from top to bottom, preventing the flow or air from outside to the inside environment. Consequently, maintaining a particular temperature inside the enclosed area. 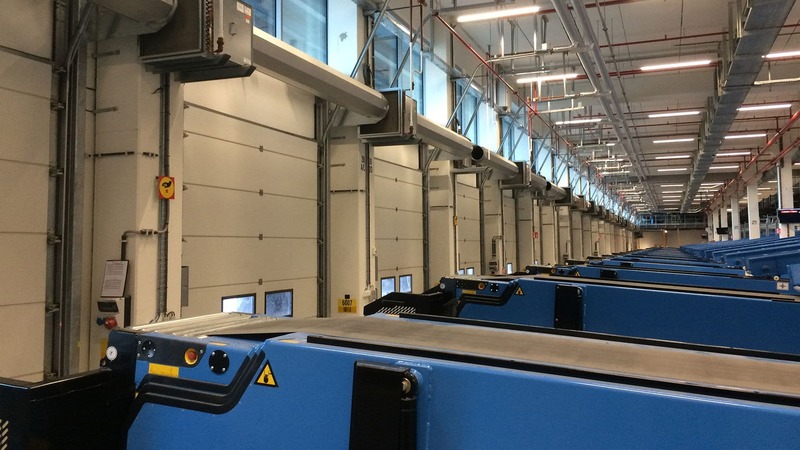 However, there are some categories of air doors which serve their sole purposes; they include the heated, unheated, industrial and commercial air doors. While these types exist, they also come in various colors, sizes, lengths, mounting preferences and with different accessories. We understand the need for various air doors; that is why we offer you each and every of them as per your need. You can choose from the different air curtains that abound. 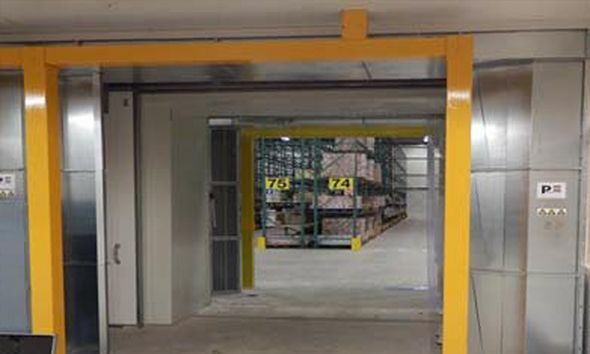 The heated type is often used in facilities that require supplemental heating with their doors being open continuously. If you live in an area where the weather is always cold, then the heated air curtains is a great option as it treats incoming air and hinders cold air from getting through, causing a cost-effective source of heat. Ever thought of the effect of heated air curtains in your workplace? If you work or have people working near a blowing air, the heated air doors can be useful for making the workplace conducive. You will enjoy a lower utility and maintenance cost when you install the heated air curtains to maintain a constant temperature inside. The unheated type of air curtains is necessary where there is the need to prevent the exchange of air in cold storage and open freezers. A scenario where there is a frequent door opening in an enclosure with supposed energy savings, the unheated type comes in handy. It is often used in refrigerated rooms, cold storage warehouses and places that need a certain level of lower temperature. 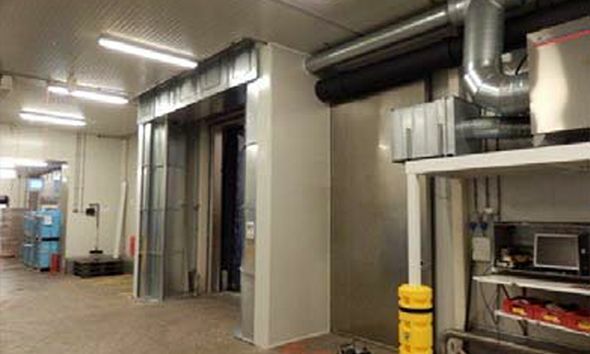 The industrial air door (warehouse curtains) is an efficient type of air curtain that features a powerful blower that generates a continuous and forceful air flow blown across open doors. 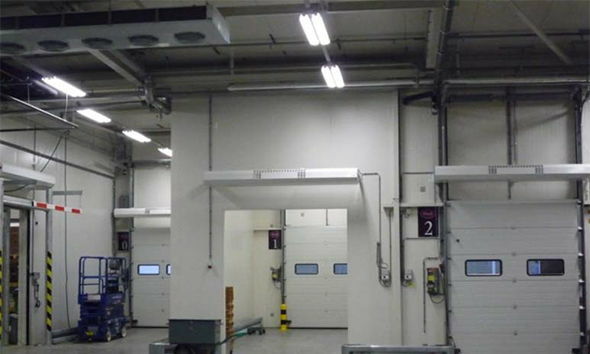 Unlike some other air curtains, the industrial type offers a marked reduction of air that tends to move into the enclosed space. It is necessary for its ability to prevent fumes and other air pollutants from getting to the protected area in the industry. This type of air curtain reaches the ground completely and requires no heater. Plant operators and engineers value the industrial type as it helps them maintain a comfortable environment even while pollution causing activities may be going on. 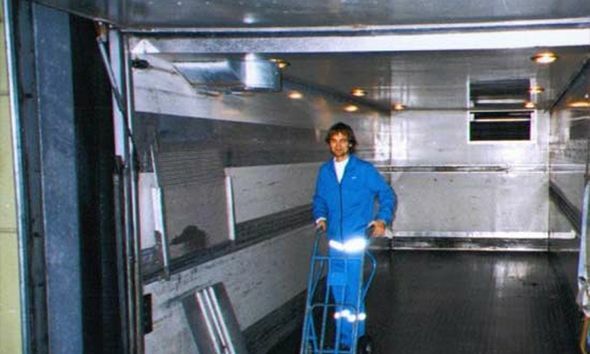 In the universities, schools, hospitals, transportation halls, commercial kitchen, the need for commercial air doors can never be overstated; they keep dust and flies away from getting into these commercial places and also maintain temperature. They are also needful in retail stores, emergency room doors and other food producing facilities. However, some models possess the auto-switch feature that automatically turns on when the door opens and switches off when the door closes. We have different types of air doors that will certainly give you the best experience, ranging from air curtains perfect for retail to outdoors. All are optimized to perform efficiently, check out the variety we have in stock for you, click here. Inform today what we can do for your business! HR Brus. 479.842 RC Brux.